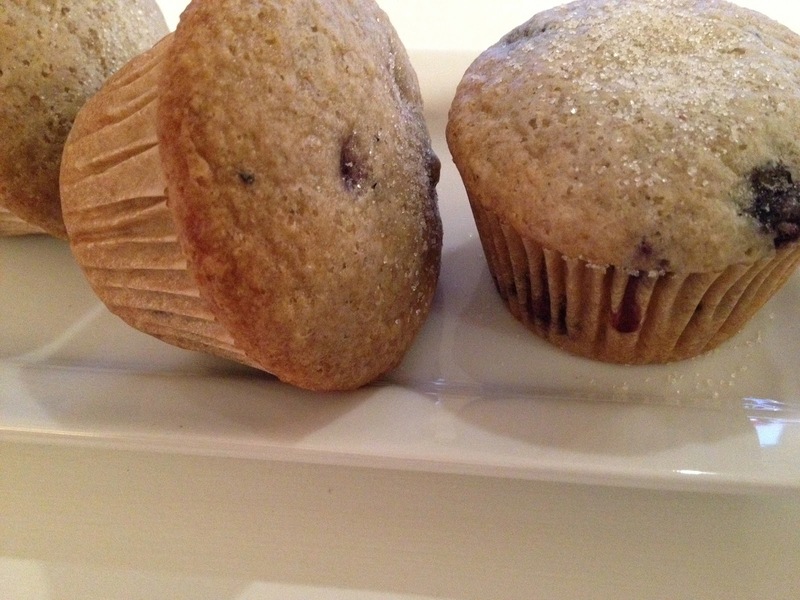 It’s about time I posted my blueberry muffins! Super moist and chock full of blueberries. Preheat the oven to 350. Line the muffin tin. Make the flax eggs. Toss the blueberries with a bit of extra flour. Sift the 2 cups of flour into a big bowl. Add the sugar, baking powder, salt, and vanilla powder. Mix with a fork. Add the oat milk, flax eggs, and lemon juice. Mix in the blueberries. Using an ice cream scooper, scoop the dough into the muffin tins. Bake for 25 to 30 minutes, until a toothpick comes out clean. Sprinkle each muffin with a pinch of sugar. Let cool. Enjoy!